SWISS POST INTERNATIONAL (2011). Alicante Card - P.P. Mint Prepaid ticket Alicante Card - P.P., self-adhesive, for international mail. SWISS POST INTERNATIONAL (2011). Alicante Card - P.P. Block of 4 mint Prepaid tickets Alicante Card - P.P., self-adhesive, for international mail. SWISS POST INTERNATIONAL (2011). Alicante Card - P.P.. Postcard mailed to Europe, with Prepaid ticket Alicante Card - P.P.. Various postcards in stock, the image is only an example. SWISS POST INTERNATIONAL (2011). Balearic Card. Mint Prepaid ticket Balearic Card, self-adhesive. SWISS POST INTERNATIONAL (2011). Balearic Card. 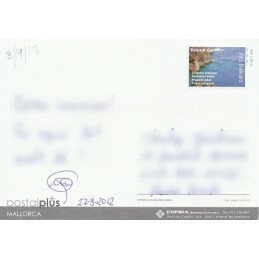 Tourist postcard mailed from Spain to Europe (2012), with Prepaid ticket Balearic Card. With postal indexation. SWISS POST INTERNATIONAL (2011). Fuerteventura Card - P.P. 2 mint Prepaid tickets Fuerteventura Card - P.P., self-adhesives, for international mail. SWISS POST INTERNATIONAL (2011). Fuerteventura Card - P.P. Bloc of 4 mint Prepaid tickets Fuerteventura Card - P.P., self-adhesives, for international mail. 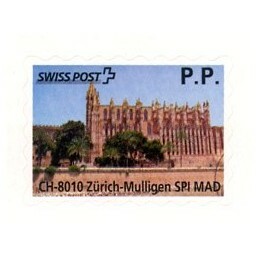 SWISS POST INTERNATIONAL (2012). Balearic Card - P.P. Mint Prepaid ticket Balearic Card - P.P., self-adhesive, for international mail. 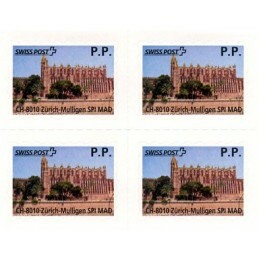 SWISS POST INTERNATIONAL (2012). 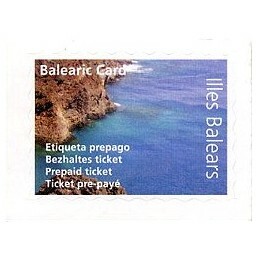 Balearic Card - P.P.. Block of 4 mint Prepaid tickets Balearic Card - P.P., self-adhesive, for international mail. SWISS POST INTERNATIONAL (2012). 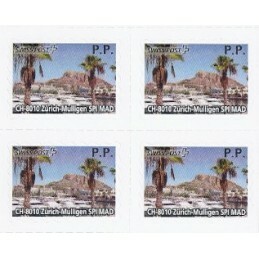 Balearic Card - P.P.. Cover mailed to Europe, with Prepaid ticket Balearic Card - P.P..
SWISS POST INTERNATIONAL (2012). Balearic Card - P.P.. Postcard mailed to Europe, with Prepaid ticket Balearic Card - P.P.. Various postcards in stock, the image is only an example. 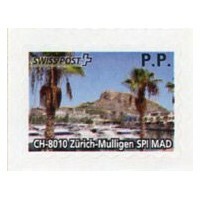 SWISS POST INTERNATIONAL (2012). Balearic Card - P.P.. 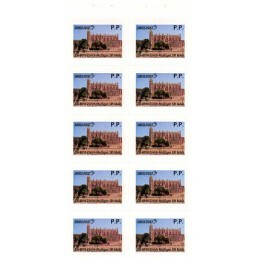 Complete sheet with 10 mint Prepaid tickets Balearic Card - P.P., self-adhesive, for international mail.